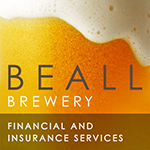 During this Crime Prevention Month, Beall Brewery Insurance would like to remind craft brewery owners and operators to take steps to protect their businesses from employee theft. Loss of retail product due to theft and other causes costs US retailers approximately $42 billion annually—and employee theft accounts for 43 percent of lost revenue (about $18 billion). And craft breweries are not immune from employee theft. A former Colorado craft brewery employee was arrested for suspected theft of rare beer—part of the owner’s personal collection, including rare beers from the brewery itself, collaboration brews, and gifts from famous brewers—from the brewery warehouse, totaling more than $15,000. 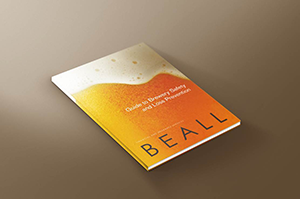 Strive to protect your craft brewery from employee theft with these simple suggestions. Verify all information on the employee application. Contact all personal and professional references listed on an application. Consider running a credit check. Create a written policy clearly outlining employee responsibilities, standards of honesty, and general security procedures and consequences for not following them. All employees should read it, understand it, and sign it as a condition of employment. Keep accurate records on cash flow, inventory, equipment, and supplies. Establish a fail-safe system by having these records checked regularly by an employee other than the one who maintains them. Limit employee access to keys, the safe, computerized records, and alarm codes. Engrave “DO NOT DUPLICATE” on brewery keys. Change locks and access codes when an employee is terminated. If employee theft is discovered, take action quickly. Contact local law enforcement agency to send a message to your employees that theft will not be tolerated. Reward employees for uncovering security problems.